It’s always been said that it’s best to read to babies, even before they’re born, but what are the best baby books to read to your little ones? It’s not only a classic but totally interactive. You can touch the bunny’s fur, play peek-a-boo and a whole lot more. 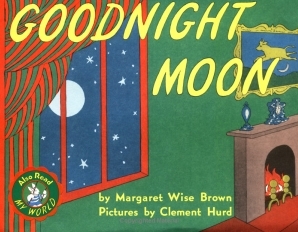 This bedtime routine classic definitely deserves a space on every child’s bookshelf. This book is perfect for young children’s short attention spans. It’s simple, straightforward and absolutely silly. This is one story that is told almost entirely through illustrations. This makes it very easy for babies to follow along. This book is great to get your baby smiling and giggling; it’ll have you making all types of noises that are sure to keep your baby happy. This book is great for teaching babies about their bodies at a younger age. Babies have and always will love looking at other babies. In this book, there are close up pictures of other babies that are sure to keep your child fascinated. This book is great for children who are going to be entering preschool and it will teach your child numbers 1-10. This book contains babies who are making all different types of faces (happy, sad, etc. ), which will help to boost your baby’s social IQ. This book also has a squishy cover, which can help for those babies that are teething. Babies for some strange reason are obsessed with their bellybuttons. Obviously it’s just all around a great book for babies full of illustrations and silly rhymes. This book contains no words but has white shapes on a black background, which is great for babies who love looking at contrasting things while their eyes are developing.